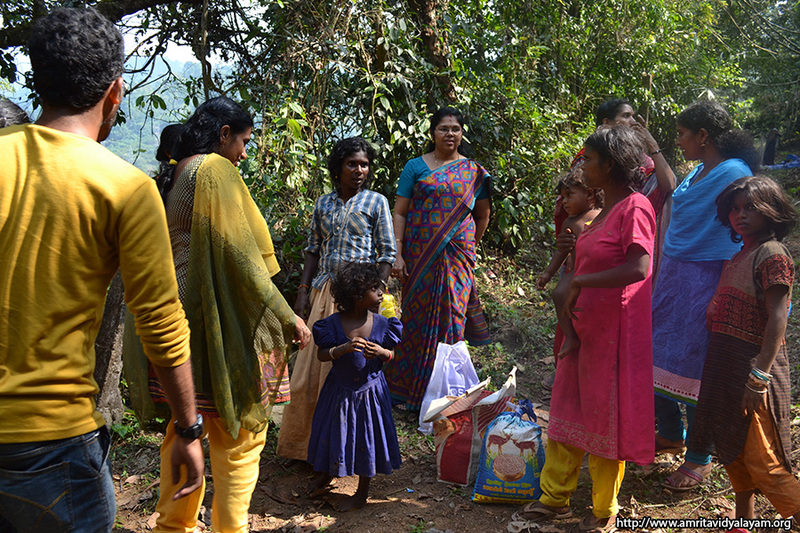 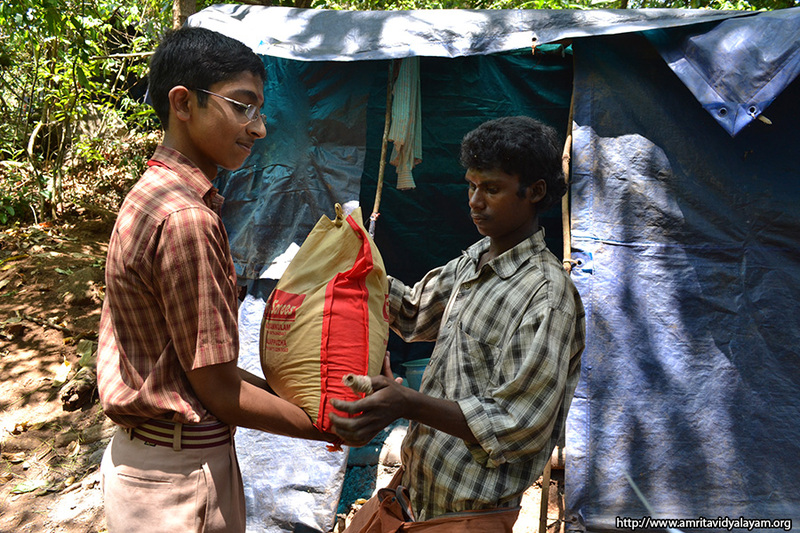 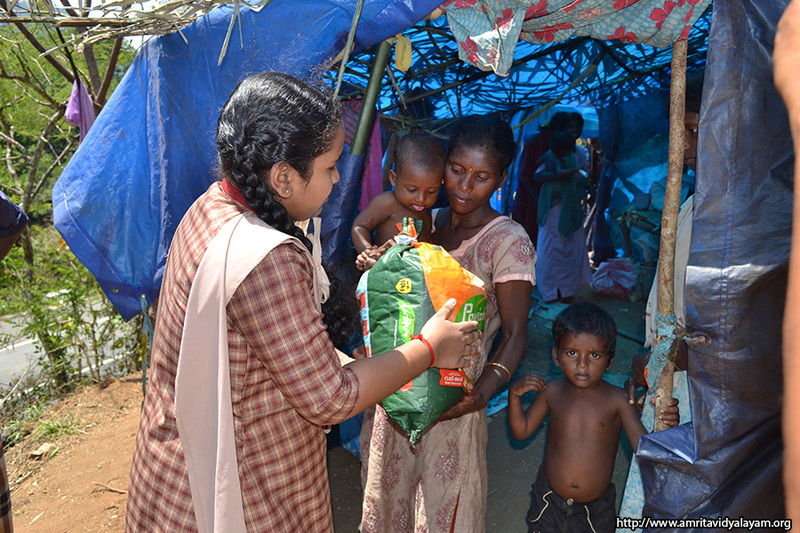 Members of our Amritam Club visited Adivasi families in Sabarimala, Moozhiyar, Angamoozhy, Plappalli, Nilakkal and Chalakayam forest areas and extended their help by providing 480 kg of rice and 43 kg of green gram. 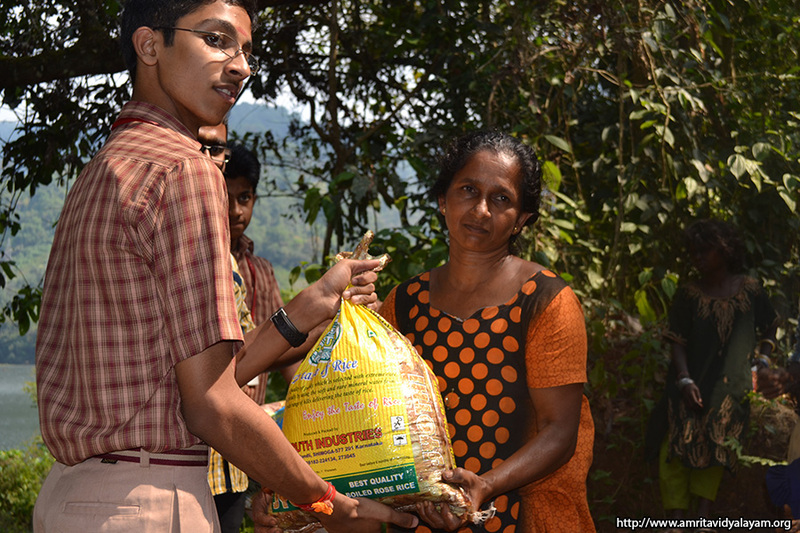 Keeping in mind that service to humanity is the highest form of worship, Amritam Club members visited 40 Adivasi families and supplied the rice and green gram that they had collected as the part of Pidiyari. 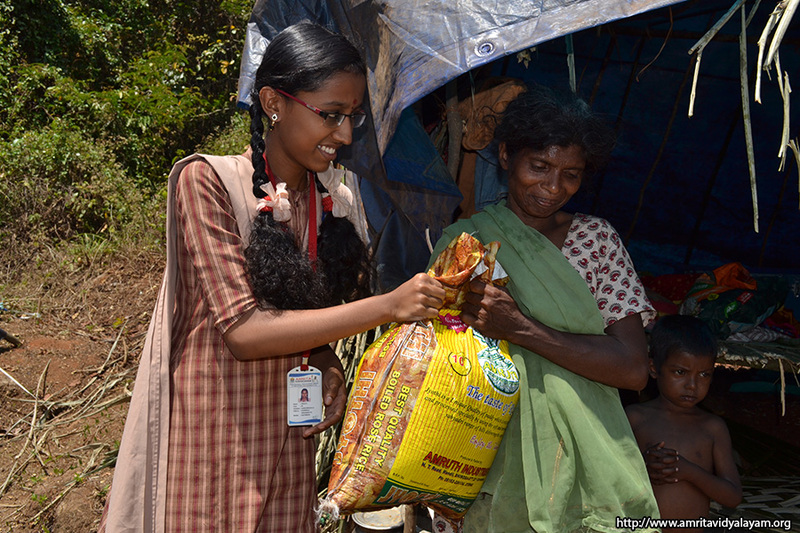 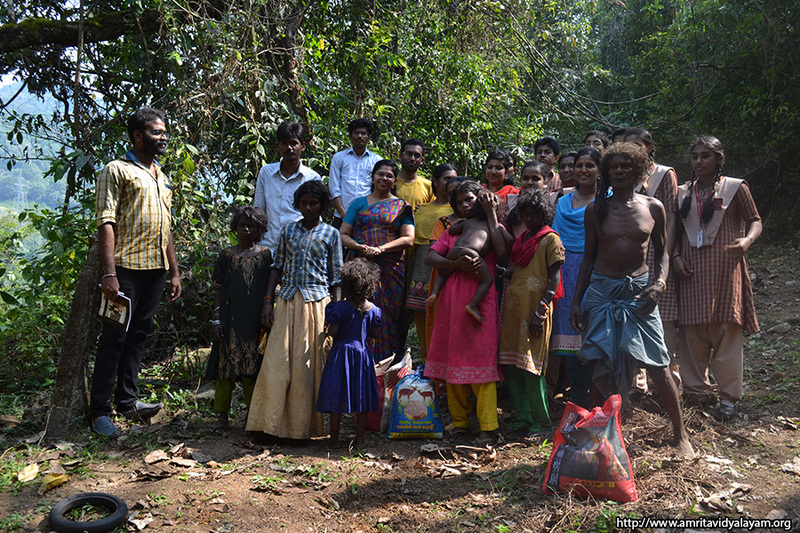 On the way, they also visited “Manikandasram”, Perunad and distributed sweets to the Adivasi children. 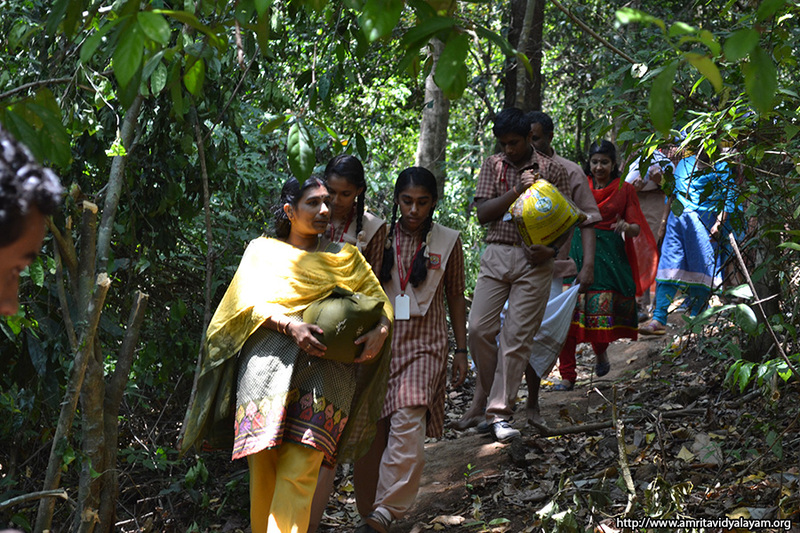 The team included students and teachers under the leadership of Vice-Principal Smt. 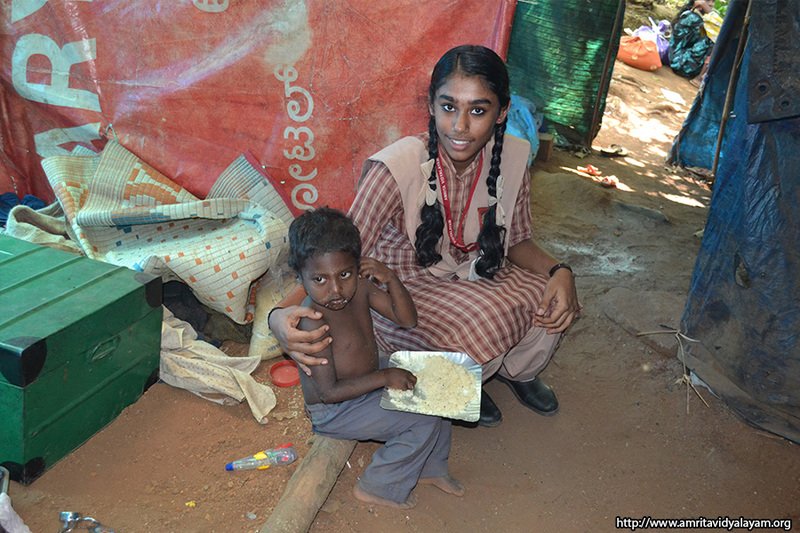 Sumangala Haridas. 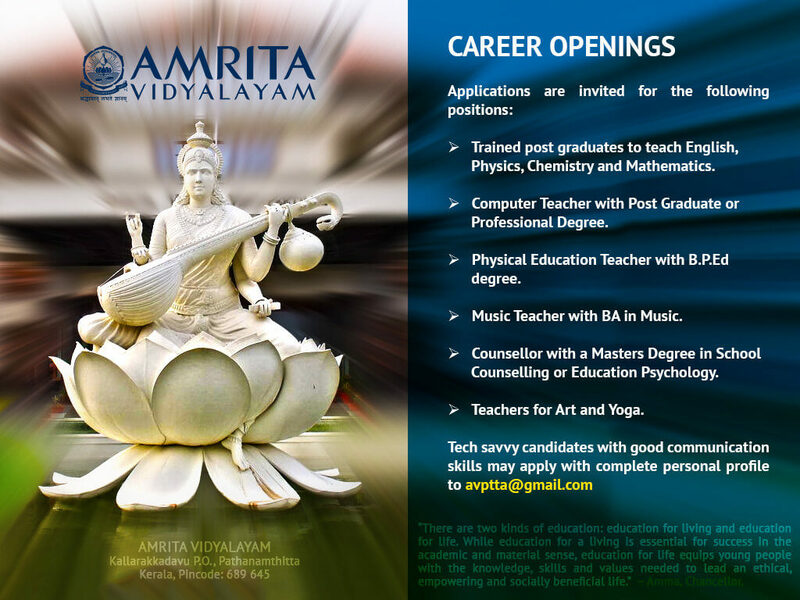 As “Amritians”, our students wish to fulfil Amma’s dream and aspiration with a smiling face and compassionate thoughts.